Listed below are links to some wonderful business: some I have been lucky enough to work with, others have helped me along the way with practical assistance and kind advice. Action on Elder Abuse (AEA) is a charity working in the UK and Ireland and focuses exclusively on protecting, and preventing, the abuse of vulnerable older adults. AEA was established in 1993 by practitioners from health and social care, academics and representatives of the voluntary sector. All were concerned about the lack of information and assistance for those who were abused or were at risk of abusing. Today, AEA addresses abuse within people's own homes (by family, friends or paid staff), within sheltered housing, and within care homes and hospitals. The charity, who have local groups all around the country, organise monthly Sunday afternoon tea parties for small groups of older people (aged 75+) who live alone, and volunteers within their local community, offering a regular and vital friendship link every month. Today’s PA is a highly successful training company offering personal/ professional development workshops for Personal Assistants and Secretaries. Based in London, their small team is dedicated to providing top notch training for all levels of support staff. Based in Moffat, Sound Sense specialises in providing equipment and live sound to musicians all over the world. Working within the folk music industry, Sound Sense also offer recording services with a mobile unit and a purpose built studio at their base in the Scottish Borders. 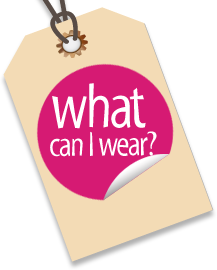 Lillian Waud's "What Can I Wear?" website is easy to read with oh so many tips on looking great. My review of her clever little ebook can be found here (it's also available in pdf format on CD). Both ebook and website are full of beautiful illustrations by artist Dawn Critchley. Tibbatts & Co are a small general practice firm of surveyors based in Wimbledon and offering professional impartial advice on matters such as party walls, lease extensions and purchasing your freehold. Tibbatts & Co pride themselves on their friendly customer service and ability to guide you through complex processes - without blinding you with jargon and legalese!